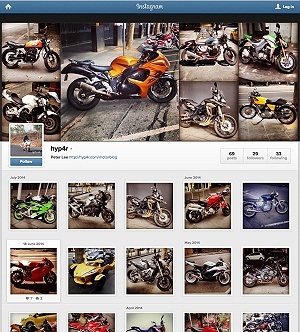 The 6th most popular motorbike in Australia for 2017 was the NBC110. The NBC110 is the Australia Post choice or delivery motorcycle and classed as a scooter. Yes is is still based on the original C100 back in 1958 but only in terms of looks. 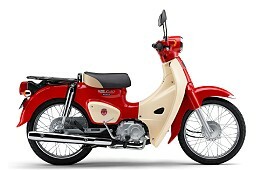 It’s stable mate is the 2019 Honda C125 Super Cub which is in limited edition release. In terms of looks design it is a retro inspired but with a direct line to the original. I would describe it as the Generation 60th generation of the original model. Regardless of how many generations there have been nothing more needs to be said as it is one of those designs with can be called a classic otherwise they would have changed it’s looks and specifications years ago! In terms of the mechanical specification and technology there have been notable inclusions. EFI, LED lights, anti-theft security system the 4 speed auto is perfectly adequate, since I have ridden one and it’s not fast but fast enough for inner suburb travels and indeed for it’s primary purpose of carrying and delivering mail. The Honda Super Cub NDC110 sold 1447 units which means it’s a highly popular singular model and the bulk of sales is to Australia Post as you can’t buy them any other as a new motorcycle rather I’ve never seen them on the showroom floor. Hence the Super Cub did not make it to my ‘Affordable yet special motorcycle list’ However 2019 sees a limited run of the Honda C125 Super Cub which is the consumer version that anyone can buy. The selling price for the Honda Super NDC110 is $$4990. The Honda NDC125 Super Cub is $6099 for 2019. These prices are expensive if you go by the traditional measure of price per engine capacity. But the NDC125 is a limited edition and you can’t get a NDC110. With a small and loyal following there a few more sales and an untapped market for those who have don’t want the scooter or the GROM or the Honda Monkey then the Super Cub is arguably the ultimate pick.